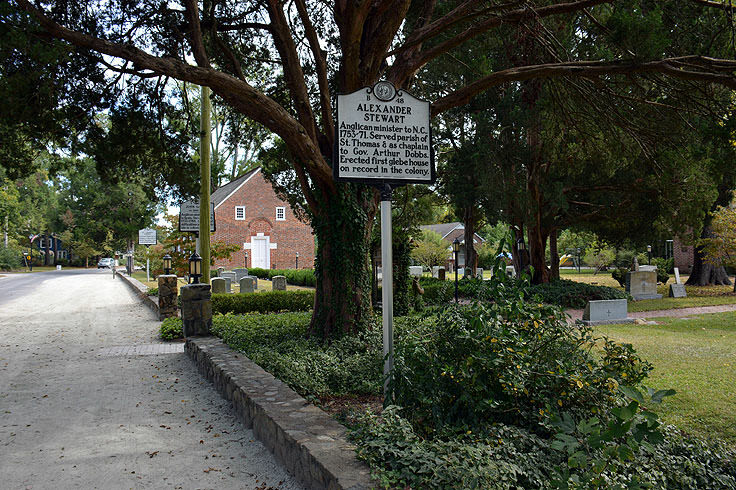 The small community of Bath hasn't changed that much since it was officially established in 1705, and locals and long-time visitors wouldn't have it any other way. 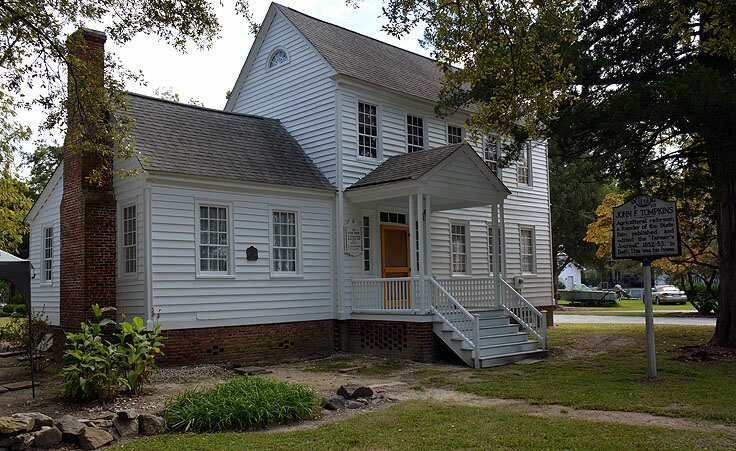 The small town, barely over a square mile in area, hugs the waterfront of the Pamlico River and Bath Creek in virtually every direction, and is well stocked with historic residences and buildings that pay tribute to a rich history filled with pirates, Indian wars, and fierce political rivalries. 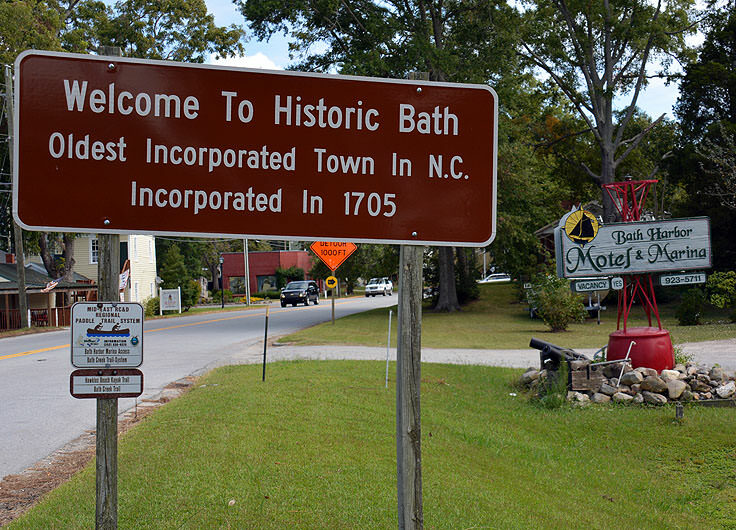 When Bath was founded in 1705, it had about 50 residents that called the small settlement home. 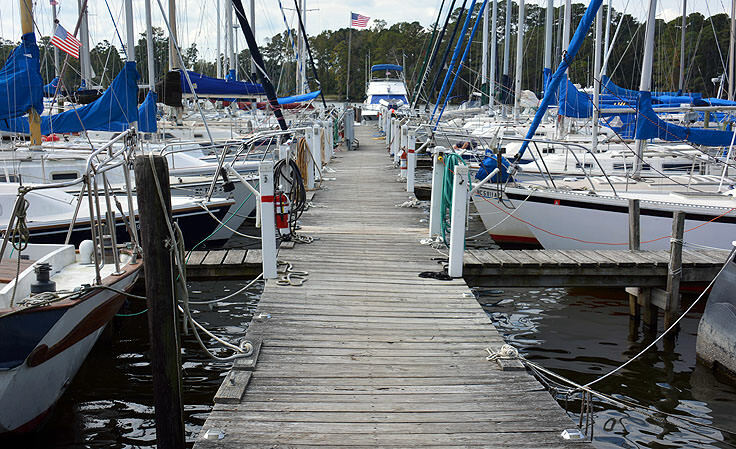 Today, the population remains minimal with just over 250 residents, many of which are part-timers who trickle in to enjoy the waterfront views, the easy sailing and boating access to the Pamlico River and Pamlico Sound, and the endless peace and quiet. 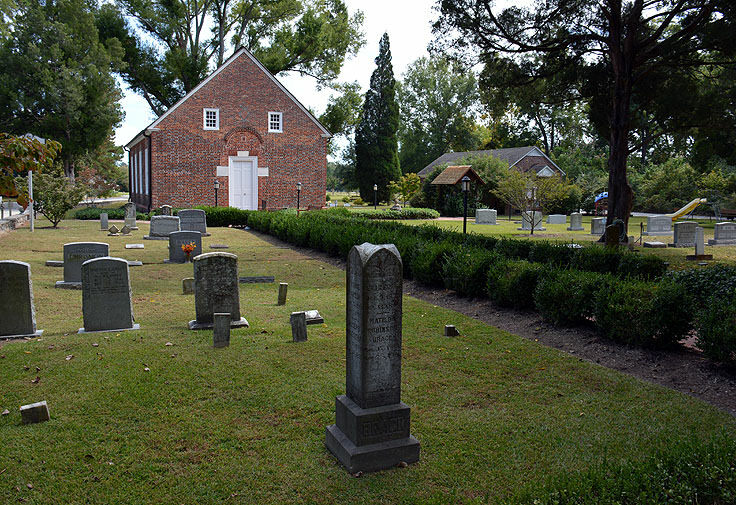 The town's main claim to fame is its storied collection of historical homes and structures, (including the oldest church in North Carolina), and its unique past which is along sordid tale of political power and corruption, piracy, and Indian wars which almost destroyed the late 1690s settlement before it even got off the ground. 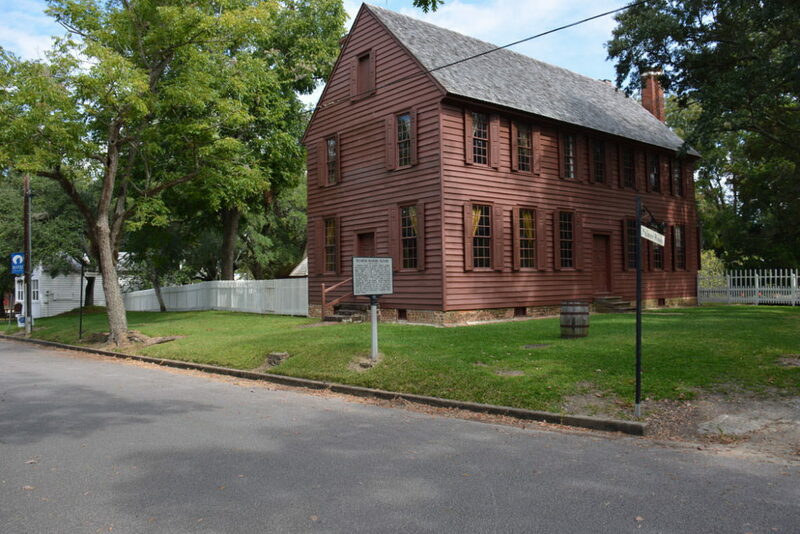 The best way to enjoy a detailed account of this history, from the occupation of Blackbeard the Pirate to the local sacrifices of the Civil War, is with a walking tour along the scenic Water, Carteret and Main Streets, where many of the more famous residences can be found, (including the Palmer-Marsh House, the Van Der Veer House, and the Bonner House), as well as a network of wide scenic sidewalks and waterfront parks overlooking Bath Creek. 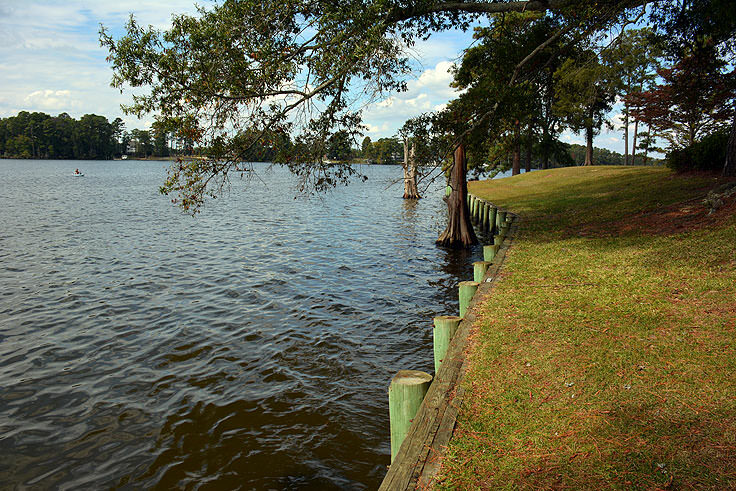 The small parks and community walkways within Bath are among the prettiest along the Inner Banks with iron-wrought benches and sitting areas adjacent to Bath Creek, and ample piers and waterfront walkways to enjoy an up-close waterfront view of the Pamlico River. 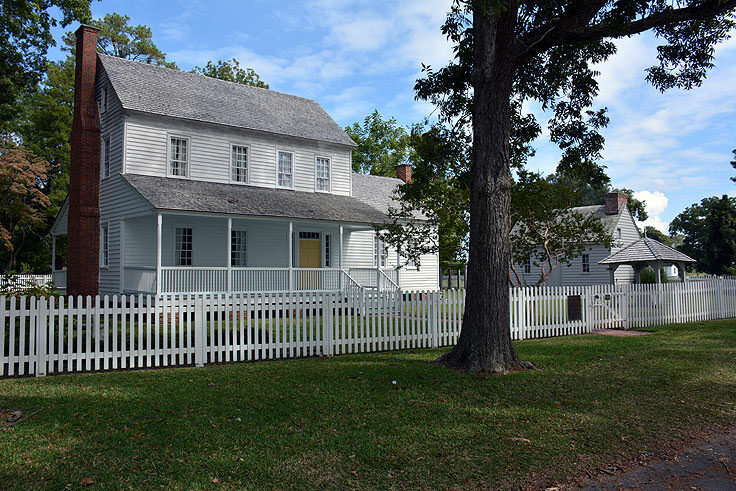 Extensive walkways connect the Visitors' Center, Van Der Veer House, and Palmer-Marsh House, and picnic areas are located along the way, (namely adjacent to the Bonner House), for an effortless lunch in a picturesque locale. Comprising such a small area, it takes just a couple of hours to explore all the historic attractions on foot, and spring and summer visitors will be rewarded with stunning gardens and pristine landscaping adjoining all of Bath's historic stretches of homes. 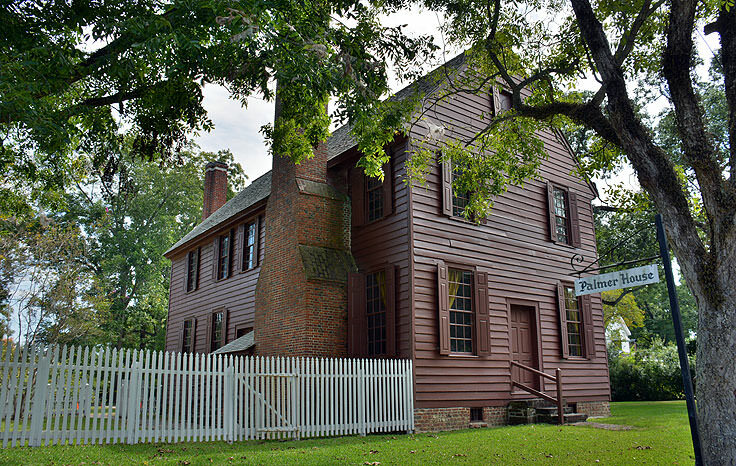 The Visitors' Center features regular guided tours of Bath's historical highlights, as well as a video presentation which is shown every 15 minutes. 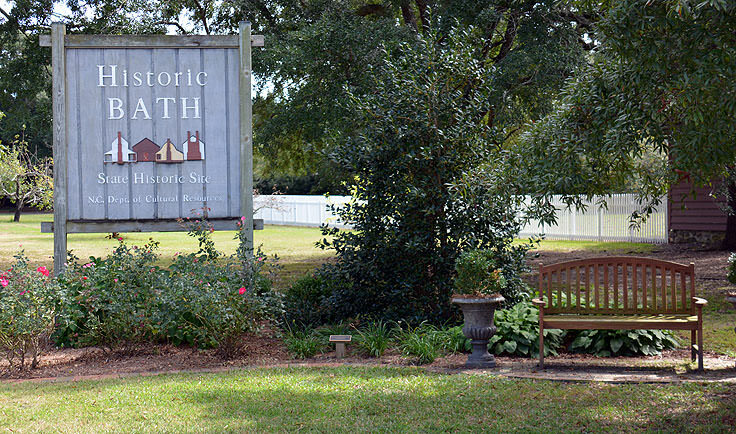 Chock full of local and regional information, the Visitors' Center also features a gift shop with all things Bath, from local books to apparel and souvenirs. 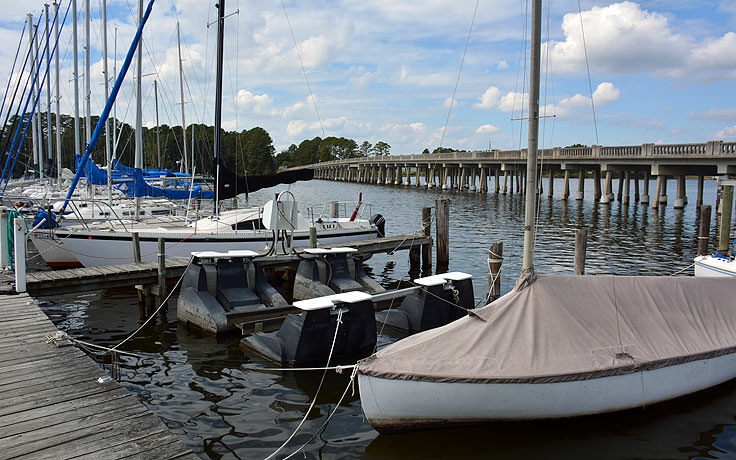 Bath is an especially popular destination with summertime boaters and sailors, and several marinas can be found both within the confines of the town, (such as the Bath Harbor Marina and Motel and Slingshot Charters), as well as along the outskirts of the community, close to where the Pamlico River meets the Pamlico Sound. 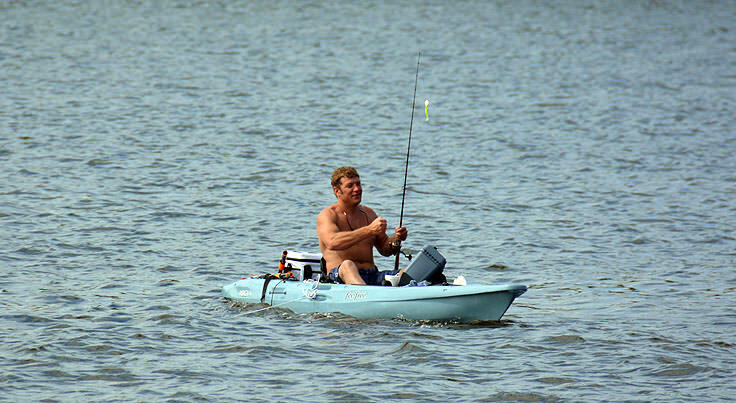 For visitors and residents, being on the water is the biggest and best-loved activity, and visitors will find ample opportunities for sailing, kayaking, fishing, and exploring the wide waterfront channels along the Inner Banks. Because of the limited residences and the overall seclusion of the town, real estate prices are notoriously steep, however vacation accommodations are limited, but well within reach for every budget. 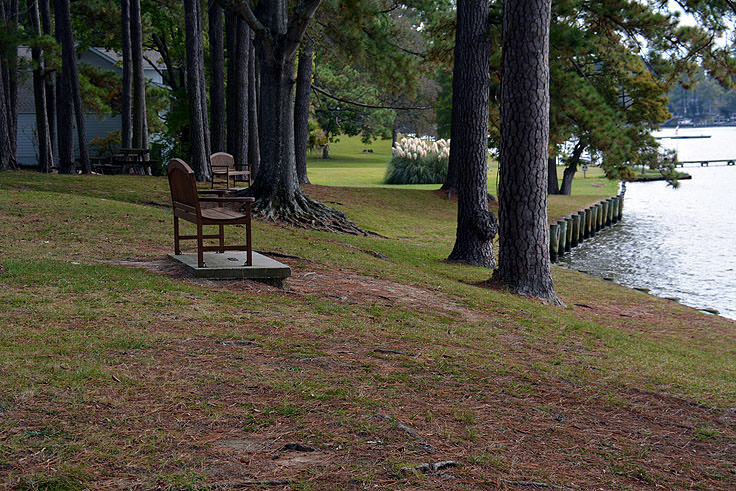 A handful of weekly vacation rental homes, many with private docks, piers, or waterfront views, are available for vacationers and are ideal for visitors who simply want to enjoy a relaxing stay by the water without any distractions. 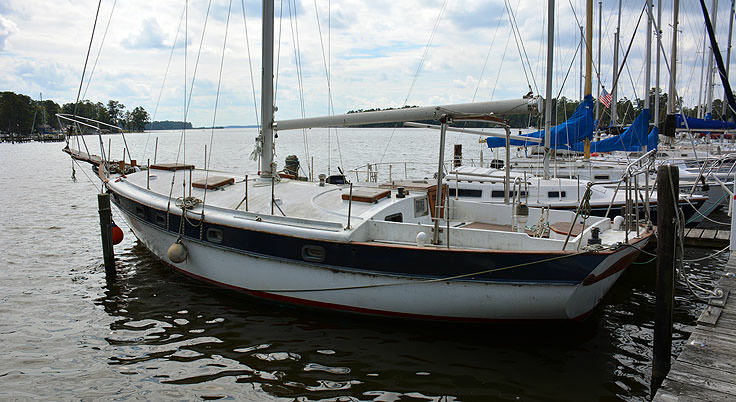 In addition, Bath is home to two small inns, the Inn on Bath Creek and the Bath Harbor Marina and Motel, both of which feature cozy accommodations and waterfront views. 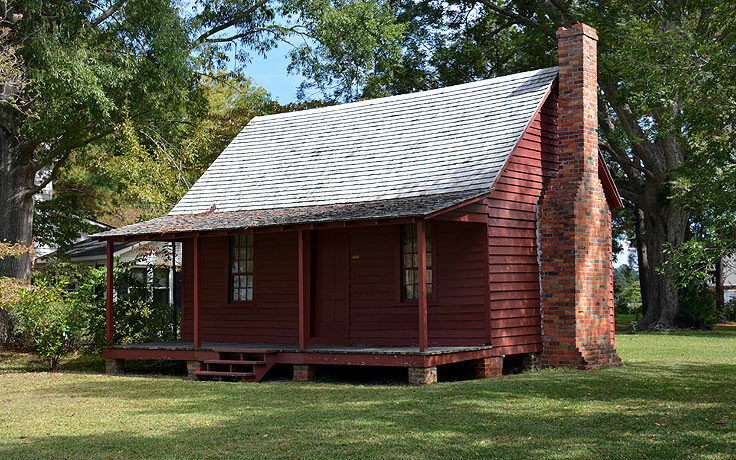 Likewise, the dining scene is limited, but deliciously appealing with several restaurants that specialize in country home cooking and fresh seafood. 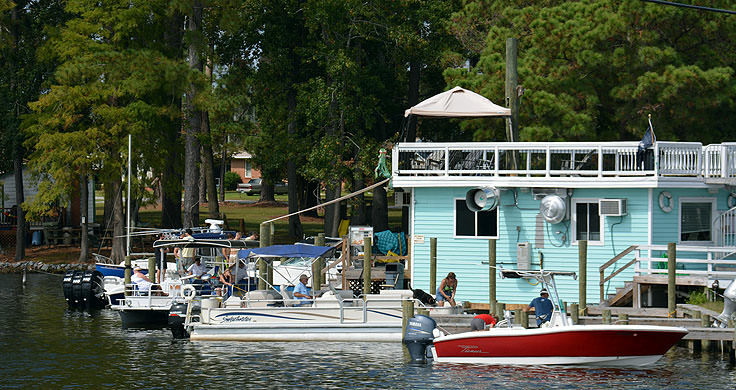 The proximity to both the brackish Pamlico River and the saltwater Pamlico Sound means that Bath is prime local seafood country, and patrons will find plenty of fresh catches in addition to just-plucked-out-of-the-water NC blue crabs, oysters and shrimp, when in season. Bath may not be the liveliest or most populated town along the Inner Banks by a long shot, but the small-town feel and historical charm is more than enough to attract visitors who want to slow down and escape the hectic pace of the rest of the world. 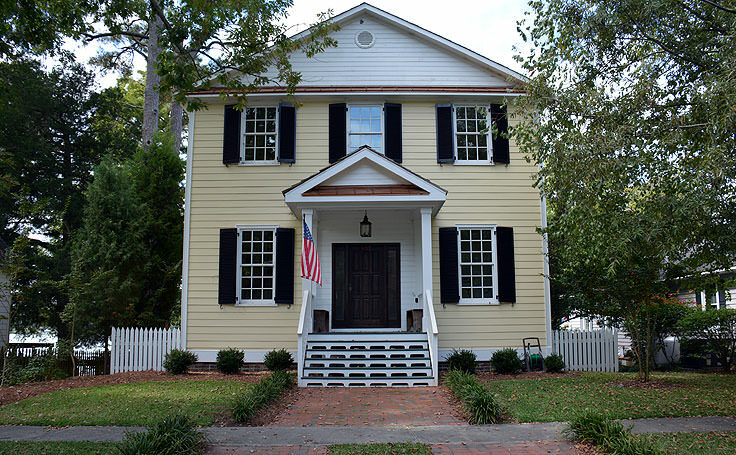 Filled with community pride, but retaining its small-town lifestyle, (as well as its small population), a trip to Bath is a step back in time for many visitors, and an easy escape to the quiet coastal life of historic North Carolina.